Listed below are our immediate needs. Please click here to view full list. 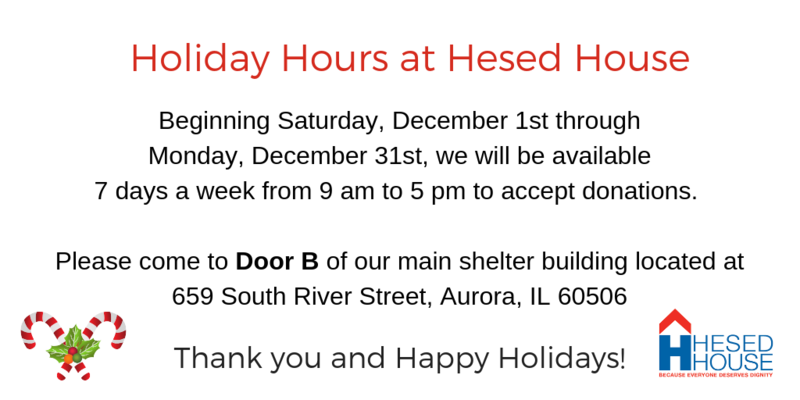 Please click here for additional information on lane closures on River St. between Prairie St. and North Ave.
Hesed House is a national model for ending homelessness - one person, one family at a time. It is the culmination of nearly three decades of strategic evolution from a formerly acceptable model of "eats and sheets" to a Comprehensive Homeless Resource Center - a campus of centralized highly skilled professionals collaborating to provide the tools necessary to help individuals and families break free of the shackles binding them to homelessness. Whether you choose to lend your time and talents by volunteering, writing a check, planning a fundraising event or coordinating a collection of food, holiday toys, and warm winter clothes, ALL demonstrations of support are appreciated. View our latest Annual Report by clicking here. 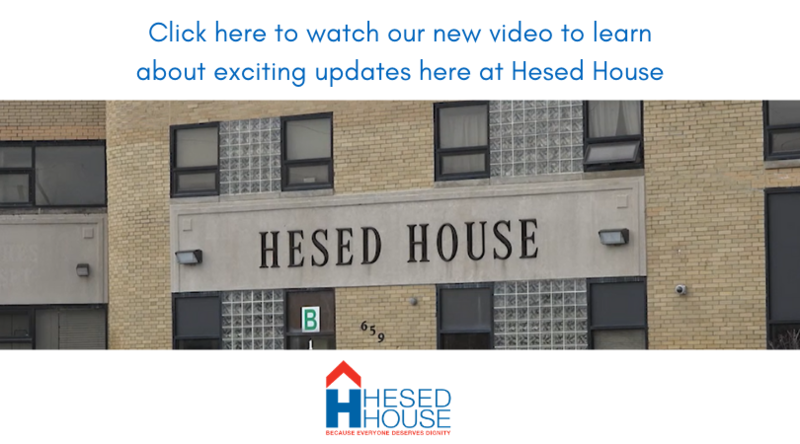 Hesed Highlights is Hesed House's quarterly newsletter, filled with useful information and facts we hope you'll enjoy. Click below for immediate access. Non-Profit Web Design - Weblinx, Inc.